MilkyTown is back with their Brand New Music Video of 2013. Please Subscribe to their Youtube Channel. 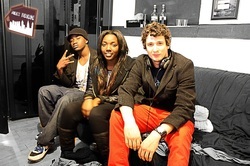 Nikki Mariam has just been Signed to The Milky Town Records Family. My Valentine Song by Jerusha. 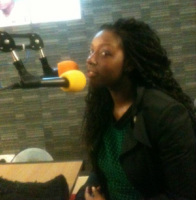 Jerusha popped into 94 FM with her Management to discuss her upbringing, Education and Future plans of her Music Career. She also played her Valentine Song on Air for the first time with Emma Akwafo. Pls visit www.facebook.com/Jerushaofficial for more info. With a few changes to the music brand, MilkyTown is back again with an upcoming Music Video, "The King Says" featuring Singer Alex Kaye. Keep up with MilkyTown for more info. "Just Recorded my 1st upcoming Single "Valentine Song" from my debut album "Broken"
It went great, I had good fun with my management :D I'll keep you guys updated !!" milkytown hooks up with devlin at the bma. MILKY TOWN RECORDS SIGNS ALEX KAYE. After working on the new upcoming featured single, Young Zondi and Damzie Boii agrees on signing 23 year old female Singer, Alex Kaye under Milky Town Records and also as an extra member of the music group MilkyTown. We look forward in hearing more great news from the label. Please like our Facebook page and follow us on Twitter if you want to keep in touch with our latest updates. What time is it....? IT's MilkyTown Time !!! A brand new Music video from MilkyTown once again, featuring Cameos from Magic from Code Red and Woodzy. 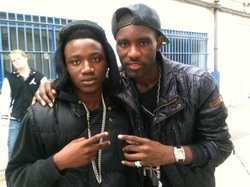 The Music video was shot at Walthamstow Academy in east London and was supported by some members of DV8 Training. MilkyTown is also discussing getting it played on UK leading Music channels so keep your eyes open guys, you dont want to miss it. And also, follow MilkyTown on twitter to be the first to hear the news !! 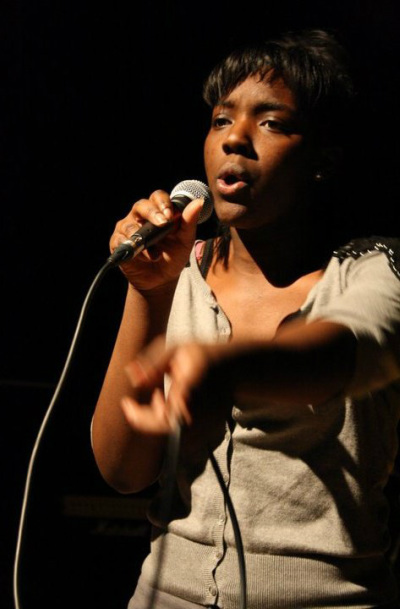 Jerusha's performance at IAMDV8 Festival blew the crowd away. She performed her cover of Resentment by Beyonce, and her beautiful singing made the song even better to listen to. 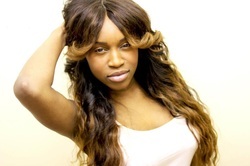 After being Co-signed by Damzie Boii, Jerusha has now met and networked with great heads of the industry and has been offered some deals. hmmm. Lets not say too much but, keep an eye out for her. This summer is her season of breakthrough !! Yes, it has finally happened !! Every act on stage last Saturday was incredible. It sure should be one of the best times of my life so far. I wish I could rewind time and have the experience again. MilkyTown performed two of their catchiest songs and it was phenomenal. Jerusha nailed it, as usual, Luciee Closier’s singing was brilliant, Tymeless, Shower Sho and Jordan King made the ladies go bonkers, I wish I could have events like that everyday. MilkyTown group band under MilkyTown Records has now released their very first Music video together. The song is called Welcome to Milky Town, written and produced by Damzie Boii CEO of Milky Town Records and was shot at the YMCA Clock House at Woolwich Dockyard. The video was released on youtube on June 24th 2012 and within 4 days it had already exceeded 7000 views. MilkyTown also performed at the IAMDV8 Festival on July 7th 2012 and their performance was phenomenal, they literally made and ate Cornflakes cereals on stage. We really look forward to seeing more great stuff from this group. Milky Town Records signs new artist. Jerusha ( Singer/Songwriter) from Thamesmead London, has now been co-signed to Damzie Boii and is now under Milky Town Records as a solo artist. We look forward to hearing more great stuff from the label.